Looking for Amazon Philippines? The Amazon.ph website simply redirects to the US based Amazon.com with few items shipping to The Philippines. Instead the most popular & trusted Amazon-like e-commerce giant in the country is Lazada. Click here for the most popular Lazada Philippines online store! Continue reading for more on online shopping in The Philippines. 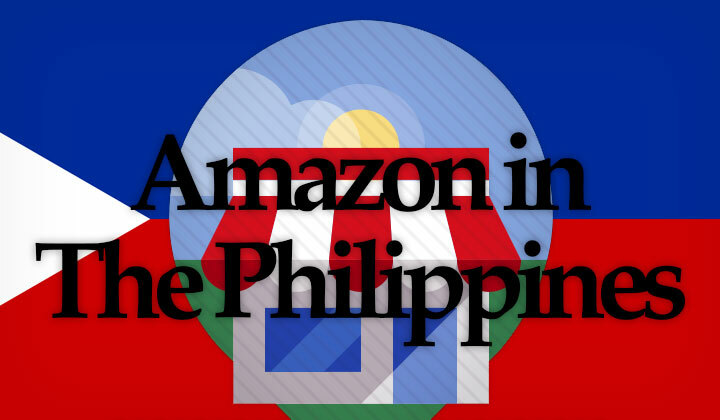 In this guide and review; I’ll explain the best Amazon alternatives and the state of e-commerce on the Philippine islands. Hope it helps & comments welcome. With several e-commerce companies to choose from in The Philippines; without a doubt the most successful company is Lazada Philippines — they are the largest with online shopping services matching in features & quality with Amazon. Just as the case with Amazon — they have both a large stock of items of their own and a hugely popular seller portal where businesses from all over The Philippines sell goods through Lazada. Making it the best alternative, with plenty of available payment methods from COD to PayPal and affordable shipping. Amazon itself does not operate in the country. Lazada PH receives the overwhelming majority of Philippine e-commerce traffic; more than all the top 8 e-commerce websites combined. Women’s Fashion, Groceries & Pets, Baby & Toys, Sports & Motors, Home & Living, Travel, Health & Beauty, Electronics, Men’s Fashion, Books & Music. The e-commerce giant owns the domain name Amazon.ph; the top-level country code of The Philippines. This domain is a redirect to Amazon’s USA based website at Amazon.com; aimed as their only alternative to shopping in the country. But using Amazon.com is a very limited option as most products cannot be directly shipped to The Philippines without the use of expensive drop shipping services. Also ordering items from the USA customers are subject to additional tax and shipping fees. Delivery times are further slowed down with international shipping. Certain products sold and fulfilled by Amazon themselves automatically include taxes to the cost of product and shipping. However this is an estimate only and you are often much later refunded a portion of the already paid tax fees. If a product is not available elsewhere; Amazon does provide a wide variety of global sellers which can be benefited from when international shipping is supported. Asia Pacific has a booming online commerce industry abundant in opportunity in which The Philippines is amongst market leaders. Similar to most other Asian countries the US based Amazon giant has not entered the market. The most daring prediction to date is by Temasek and Google which sets Philippines goal to reach a USD 19 billion e-commerce market by the year 2025. This is according to an annual 34% growth estimate. Kenneth Lingan; the head of Google Philippines, has said that this forecast amounts to 5% of all local commerce which would take place on it’s increasingly many online store websites. While The Philippines has massive buying power with the second biggest population in Southeast Asia, fueling it’s constant e-commerce growth; the shopping market is also faced with several challenges. Especially with customer confidence. Online fraud is a major concern in the country creating a lack of trust in online transactions, which is one of the reasons why COD or cash on delivery is still the most preferred method of payment. Also according to the analysis of Akamai, a major content delivery network company; Philippines rank second worst amongst the slowest internet connections in the Asia Pacific region. One of the advantages is in the readiness of affordable shipping methods that already facilitate consumer habits in a delivery accustomed country, despite slower delivery times. Contrary to Amazon services; customers have many available competing delivery methods and courier service companies to choose from. Available couriers include LBC Express, Lazada Express, AIR21 and 2GO Express — all nationwide courier firms with best coverage in Manila. Check the Lazada store here for best online shopping in The Philippines. What’s your experience in Philippines with Amazon and equivalent websites? Or questions about store shipping, delivery in the country in 2018? Comments and feedback are very welcome indeed! Please note: The blog Kachi contains affiliated links which means that after clicking on such a link any purchase made through the third-party referred website could be financially beneficial to the website owner. This is totally free for readers and support a good blogging cause. Biggest thanks! Sincere best regards, Tim.